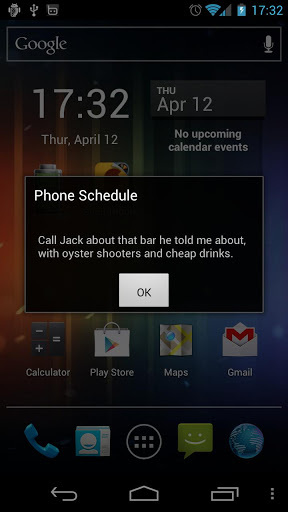 Phone Schedule (Android) - Schedule Phone Actions ~ Android Forever! Developer Quote: "Create a task once and it will execute automatically. 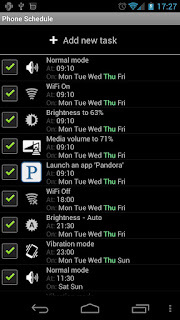 Configure time and days of week when you want it to repeat. Morning, daytime, night, weekdays, weekends, you name it! 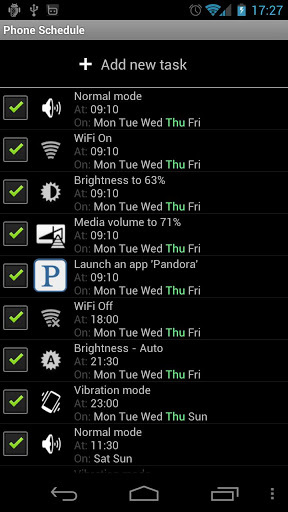 Save battery by switching off unused functions when you don't need them." Automation is awesome! Though it may take a few minutes to set up, it can save you hours and hours over time! Get Phone Schedule FREE on Google play!